Readers are taken back two centuries, before the advent of electricity, when lush trees were illuminated with candlesticks, pious Creoles prayed in a church constructed of cypress logs, and eager children received presents of tin toys and porcelain teapots. There are reflections on the musings of Mr. Bingle, City Park’s Celebration in the Oaks, and bonfires along the Mississippi River. In twelve enlightening chapters, the authors cover many different aspects of Christmas, such as the celebrations in the French Quarter, the favored cuisine of the season, Hanukkah, and Twelfth Night. 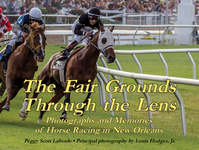 Complete with pictures from private and public collections, a réveillon recipe from Chef John Besh, and recollections from notable New Orleanians, including Anne Rice and Irma Thomas, this stunning book is perfect for Louisiana locals, or those who simply love the city. Peggy Scott Laborde is the producer and host of Steppin’ Out, which airs on WYES-TV in New Orleans. Since earning a BA in political science from the University of New Orleans, Laborde has produced a number of documentaries based on the city she calls home. Her professional accomplishments have earned her awards from the Press Club of New Orleans, Public Relations Society of America, and American Women in Radio and Television. She has garnered praise for her extensive efforts in conserving the arts and history of New Orleans. As a curator at The Historic New Orleans Collection and the head of the research services and the reading room at Williams Research Center, John Magill has coordinated several exhibits for the museum. He graduated from the University of New Orleans with a BA and MA in history. 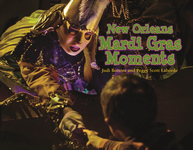 He has contributed articles to The Historic New Orleans Collection Quarterly, New Orleans Magazine, and Louisiana Cultural Vistas magazine. 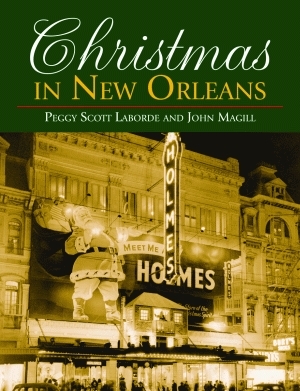 Magill is also the author of Pelican’s Canal Street: New Orleans’ Great Wide Way, which he cowrote with Peggy Scott Laborde. 131 color photos 45 b/w photos 32 color illus. 10 b/w illus.